For many, Christmas is a time of the year which, very easily, becomes about bountiful moments. Christmas is full of children waking up on Christmas morning in breathless anticipation of what they will find under the Christmas tree. Christmas is full of families sit together, surrounding tables full of food, in rooms filled with laughter, and they experience moments and flavors filled with love. Christmas is filled with the moments when all feels right in the world. The moments when we’re sure God loves us. Christmas, though, isn’t experienced this way by many. For those who have lost family or friends, for those struggling with depression, for caught in systemic poverty, or those who are forced to live apart from their family, Christmas can feel more lonely than any other moment in our year. Despite what Bing Crosby tells us, it’s not always the most wonderful time of the year. 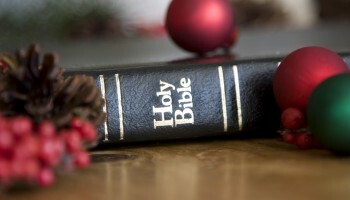 As pastors who much prepare our homilies, this reality forces us to recognize and wrestle with a very important and difficult question: what do we do when the moments which should be filled with Christmas cheer and God’s favor, are completely absent of them? Furthermore, how do we live in anticipation of the coming of Christ when we’re afraid our lights will be turned off? What do we do when our finances are too tight, creating an empty tree and a disappointed child? What do we do when our health fails, and prayers for healing go unanswered? We remember Mary and Martha , and we remember that Christmas is for us, too. In the mind of the ancient, God’s love was a fickle and outwardly obvious thing. It was well understood in the ancient mind, when crops were plenty, the Gods were happy. A fully harvest, meant divine pleasure. The opposite was true, as well. When famine was in the land, the the rains never showed, and the crops failed, the gods were angry with the people. Like a bountiful harvest or a failed crop conveyed the approval or disappointment of the divine, the ability of a woman to conceive a child carried the weight of divine judgment for her. When a woman bore many children, she was seen as blessed by God. When a woman was unable to conceive, she was cursed. Her entire worth in the eyes of God was tied to her ability to procreate; to carry on a father’s line. We see this unfair reality all throughout the Bible, but most strikingly the story of Jesus’ birth riddled with connections to the theme of plenty, want, and the blessing of God. From the story of Elizabeth, the barren woman who eventually conceives and gives birth to Prophet John the Baptist. To Mary, Elizabeth’s cousin, finds out she’s also pregnant with Jesus. To Anna, the barren widow who was among the first to recognize Jesus for who he was- the Messiah, the one who was to come (Luke 2:38). The birth narrative of Jesus is less a celebration of the warmth of Christmas comfort, and more a story of a God deliberately coming to spend his first breaths with a bunch of men and women we’d probably not want to bring home to mom; the ceremonially unclean, the sexually impure, the barren, and the cursed. Advent is for the last and worst of us. “Advent” means arrival. It means the coming of something or someone highly anticipated or long awaited. Advent is those moments of anticipation of the pain subsiding, the stress relieved and the depression released. 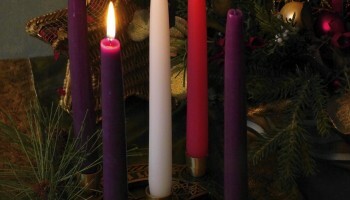 Advent means remembering that, while we suffer, we serve Immanuel (God with us). It’s a lesson we would all do well, as pastors this Advent season, to remember. Because, while it’s easier to teach about the comforts of Christmas, about the warmth of the angels’ songs, and the laughter of family, in its most basic form, Christmas is a story for those in our pews that have been mourning so long, those around them no longer know how to help them. Advent is for the man who should shower more than he does. Advent is for the woman who swears more than she should. Advent is for the daughter who brings her girlfriend to church. 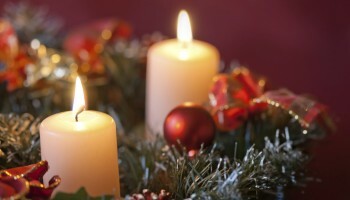 Advent is for the son who is awaiting a court hearing for drunk driving. Advent is for the happily married, the maritally unfaithful, and the recently divorced. Advent is for the one who has never been married. Advent is for us all. This, friends, is the good news of Advent.